Home › Construction Spanish › Jobsite Leadership › The most obvious form of communication you’re overlooking. The most obvious form of communication you’re overlooking. We all know communication is delivered in multiple ways: with text and images, through words and action. We pined for pictures on every page in our books. It continues in adulthood with US Weekly and GQ. We know too that vivid colors are preferable over black & white. It’s Design and it’s a good thing. We also know humans are incredibly skillful at ignoring constant stimuli. The manure smell at the farm? It disappears in 10 minutes. The baby crying during the closing minutes of the World Cup quarterfinal? If we know all this – humans prefer pictures and colors to go along with text and our brains quickly block out consistent stimuli – Why do we continue to botch the most obvious form of communication? 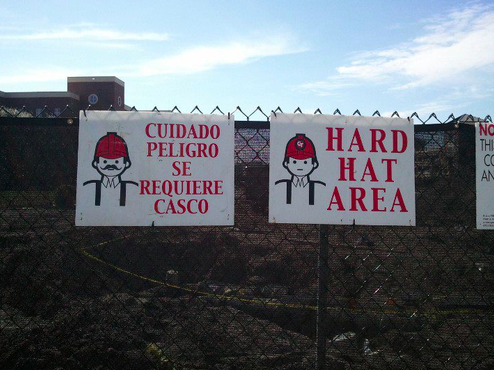 I’m talking about your jobsite signage. 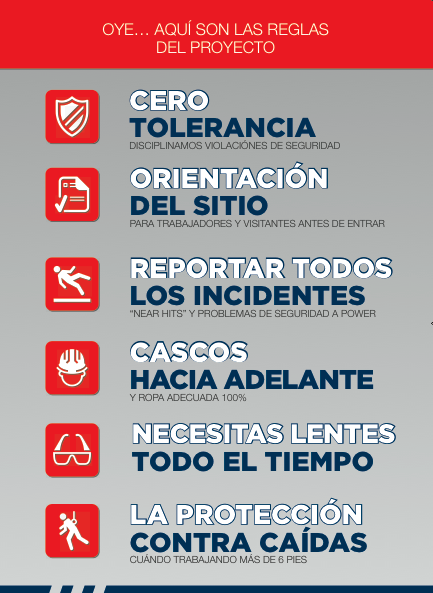 The signs that welcome and inform (in theory) workers and guests about your expectations on-site. It appears to be for compliance purposes only. The roach coaches have better signage than our jobsites! Are you currently using 3’ x 5’ white corrugated plastic with black vinyl letters in ALL CAPS Arial font? OK then, I’m talking to you. No one is reading it. The signage welcoming jobsite workers and visitors should say something. As construction managers, how often are you preaching to do it right the first time? Well… practice what you preach. The incremental cost of creating jobsite signage memorably is minimal. Red Angle recently translated and designed a set of jobsite posters for a Chicago commercial construction company. The original request was simply for the translation of 60-some words. I’ll let you be the judge on whether or not we succeeded. The feedback we’ve received is that it’s much better, different and much more noticeable. Workers are talking about it. The signage is in English, Spanish and Polish. We’ve been told that has communicated a strong cultural message as well – one of inclusiveness… not to mention logic. 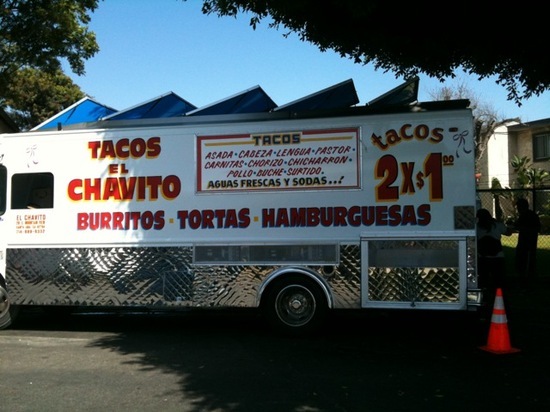 The cost of a few additional signs per job is far less than a worker’s compensation claim. 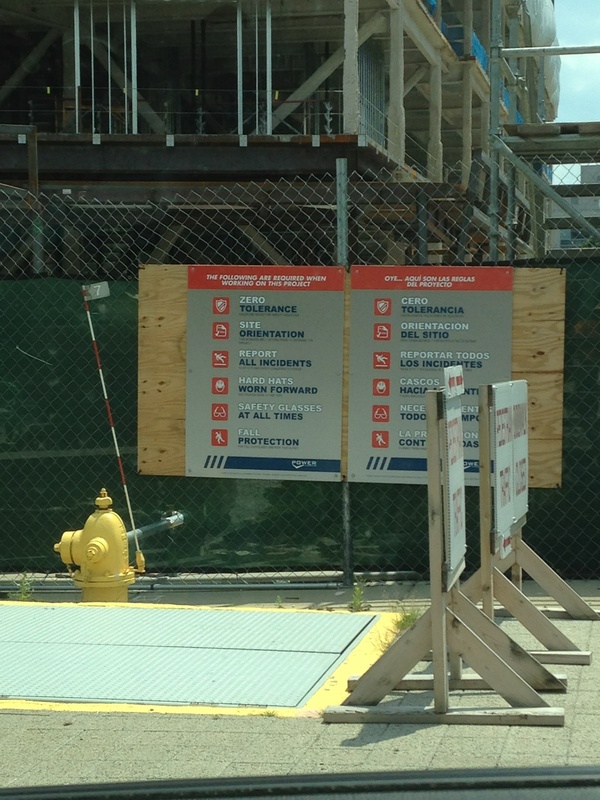 When is the last time you evaluated your jobsite signage? Is it in your workers’ language of preference? Does it have colors and pictures along with the text?